Visitor information guide on New Hampshire boat rentals, jet ski, ATV, fishing, RV, hunting, and outdoor adventure tour companies servicing the state with premier activities for locals and tourist. This state is located in the New England region of the northeastern United States of America. It is bordered by Massachusetts to the south, Vermont to the west, Maine and the Atlantic Ocean to the east, and the Canadian province of Quebec to the north. With some of the largest ski mountains on the East Coast, New Hampshire's major recreational attractions include skiing, snowmobiling and other winter sports, hiking and mountaineering, wakeboarding, boating, water sports, water skiing, observing the fall foliage, summer cottages along many lakes and the seacoast, motor sports at the New Hampshire Motor Speedway, and Motorcycle Week, a popular motorcycle rally held in Weirs Beach near Laconia in June. The White Mountain National Forest links the Vermont and Maine portions of the Appalachian Trail, and boasts the Mount Washington Auto Road, where visitors may drive to the top of 6,288-foot Mount Washington. Some of the most popular regions are the Great North Woods, the White Mountains, the Lakes Region, the Seacoast, the Merrimack Valley, the Monadnock Region, and the Dartmouth-Lake Sunapee area. New Hampshire has the shortest ocean coastline of any coastal state, with a length of 18 miles. Major rivers to enjoy fishing and boating acitivities include the 110-mile Merrimack River, which bisects the lower half of the state north-south and ends up in Newburyport, Massachusetts. Its tributaries include the Contoocook River, Pemigewasset River, and Winnipesaukee River. The largest of New Hampshire's lakes is Lake Winnipesaukee, which covers 71 square miles in the east-central part of New Hampshire. Umbagog Lake along the Maine border, approximately 12.3 square miles, is a distant second. Squam Lake is the second largest lake entirely in New Hampshire. Hampton Beach is a popular local summer destination with surfing, swimming, and snorkeling. About 7 miles offshore are the Isles of Shoals, nine small islands known as the site of a 19th-century art colony founded by poet Celia Thaxter, as well as the alleged location of one of the buried treasures of the pirate Blackbeard. In the spring, New Hampshire's many sap houses hold sugaring-off open houses which are fun to visit. In summer and early autumn, New Hampshire is home to many county fairs, the largest being the Hopkinton State Fair, in Contoocook. New Hampshire's Lakes Region is home to many summer camps, especially around Lake Winnipesaukee, and is a popular tourist destination. The Peterborough Players have performed every summer in Peterborough, New Hampshire since 1933. In the fall New Hampshire is host to the New Hampshire Highland Games similar to those experience in Scottland. New Hampshire has also registered an official tartan with the proper authorities in Scotland, used to make kilts worn by the Lincoln Police Department while its officers serve during the games. The fall foliage peaks in mid-October. In the winter, New Hampshire's ski - snowboard areas and snowmobile trails attract visitors from a wide area. After the lakes freeze over they become dotted with ice fishing ice houses, known locally as bobhouses where you can hire experience fishermen to show you the skills to catching the best fish. 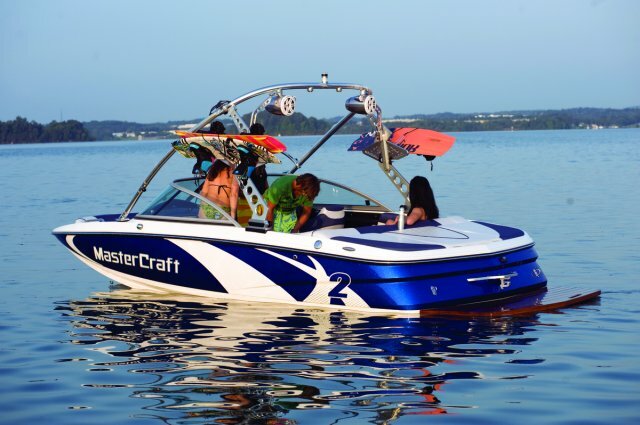 Invert Sports does not have a location in New Hampshire as of now; but does offer transportation services to an elite clientele in the state who want the best watercraft services available. We currently offer advertising on this web page to all other types of rental and tour companies who are located in the state. Check out the opportunities of a contract franchise.